Posted By PA Breast Cancer Coalition on November 17th, 2011 at 9:02 am | 1019 comments. Get an early start on holiday shopping for a cause at the PBCC Marketplace! 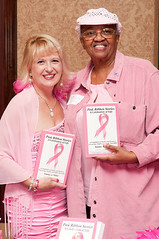 Order Pink Ribbon Stories: A Celebration of Life, a new book written by Tammy Miller, for someone who has been touched by breast cancer. Or choose a t-shirt, hat, or pin as a hostess gift that supports an important cause. Have a new driver in the family? 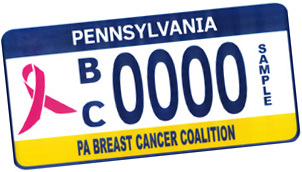 Purchase a PBCC Pink Ribbon license plate for them so they can drive home the message of breast cancer awareness. Please keep in mind to order early to help ensure that your selection is available and that it arrives in time for the holidays! 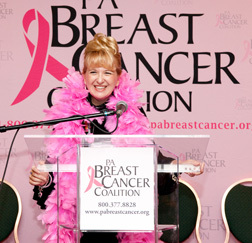 Should you have any questions, please contact Kim at 800-377-8828 x104 or email Info@PABreastCancer.org. Happy shopping!